ALL NEDOR COMICS issue!! 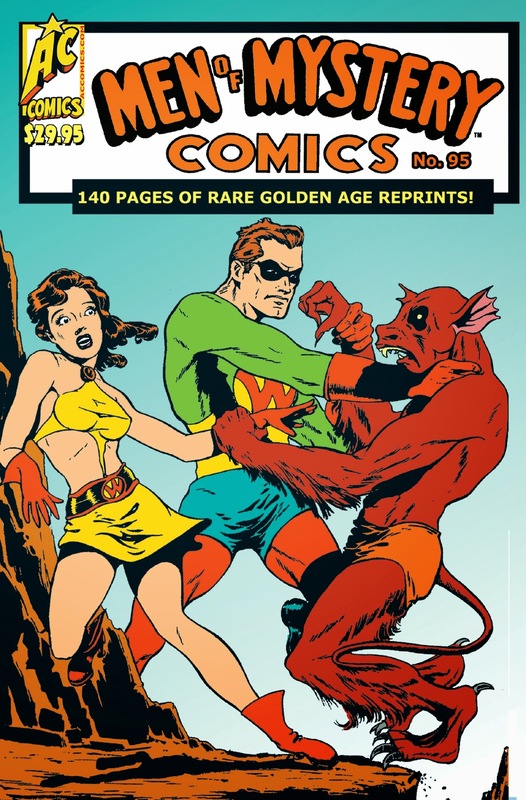 FIGHTING YANK, BLACK TERROR, PYROMAN, CAPTAIN FUTURE, DOC STRANGE, cover feature Brad Spencer, WONDERMAN, The GHOST, The FOUR COMRADES, the origin of The SCARAB, COMMANDO CUBS and more obscure Golden Age heroes in NEVER PREVIOUSLY REPRINTED stories!! Art by Meskin, Robinson, Oksner, Mayo and other greats! !